==> Create a file with Notepad on your computer and type in your phone numbers one per line. Save it on your computer with any name eg name of your club. 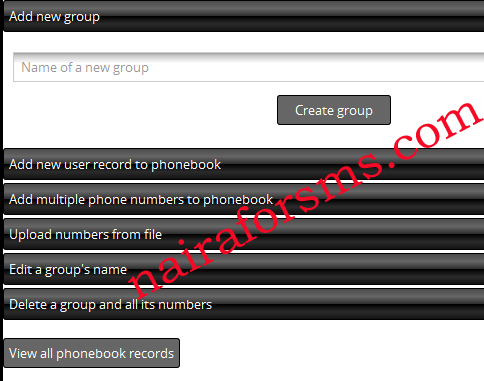 ==> Click on "View Phonebook"
==> Click "Upload Numbers from file"
==> Select the name of the group and click "Upload Numbers". You can later add more phone numbers to the group by clicking on the "add multiple phone numbers to phonebook" button. Recommended: How to send bulk sms to phonebook group.